MEITEC provides great career opportunites for employees with an excellent benefit package and training. 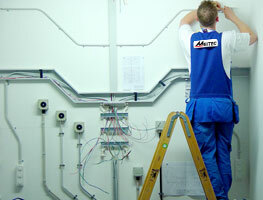 When joining MEITEC you become part of the MEITEC family. With our open-door policy starting at the president, you will find yourself at home while at work. Email your resume to employment@meitec.net. Or call us at (281) 412-6990. Preparation of Detailed Electrical Cost Estimates for all types of New-Build Vessels, Mobile Offshore Drilling Units, and Repair Contracts, Familiarity with Ship's Electrical Power Systems and Electrical Equipment, Communications, Control and Acquisition Systems (SCADA, PLC, HMI) and systems for oil rigs. Also know Contract, Technical and Purchase Specifications and Electrical Design Calculations to ensure compliance with Classification Society's Rules.